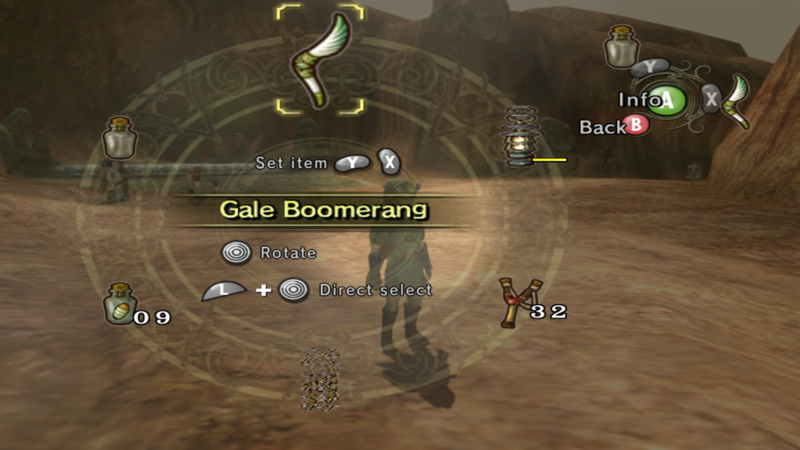 Regularly, but not always various hud icons or text will glitch out and be partially or totally unrecognizable. The only thing I've noticed ingame are the clouds in Hyrule Field though, admittedly I've only just reached Kakariko. I tried toggling all settings including multiple combinations of the enhancement options (everything off of course, too), and nothing changes immediately. Moving into another area can either fix it or shuffle the effects. it's only the slightest of annoyances until someone talks to me and the text is garbled to the point of totally illegible. I've been searching off and on, but I can't seem to come up with the right query if this is a known issue. Anybody else? Thanks all. Does this happen in the latest dev build of DOlphin, and do you have up to date GPU drivers? The first is the glitchiest text I could summon on command--so far in my playthrough it's only been totally illegible three times, I think. The second one shows the lantern icon with an effect I don't know how to describe which is also common with numbers like rupees and ammo, as well as the fishing pole at the bottom as total noise. The third shows the scroll (?) effect from the lantern in the second picture on the "1" in "10 slingshot ammo" as well as the "X" and "Y" icons with a bit of noise on them. I mentioned that moving to another area reshuffles the effect, and the same is true of simply pausing the game. 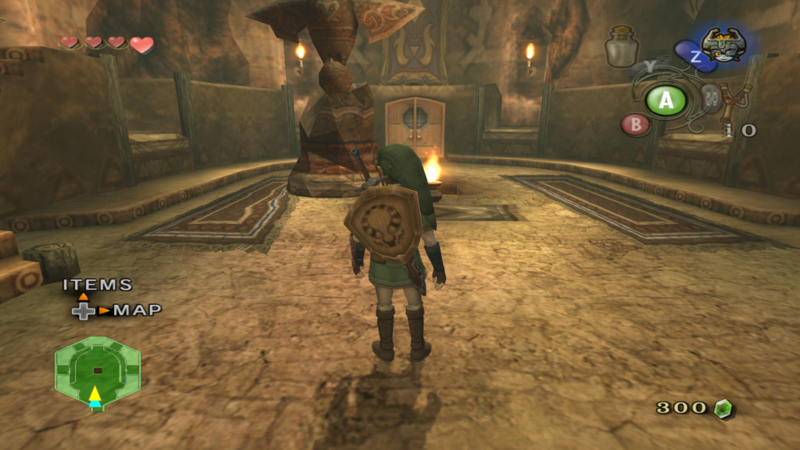 After playing a bit on Death Mountain I've noticed the steam coming out of the vents around the Gorons, the "impact" effect from the falling rocks, and even the steam clouds from the hot springs being reduced to simple striped box versions of themselves like the clouds I mentioned in Hyrule Field. If the cause of all this still isn't clear let me know, and I'll try to reproduce the problem. I only have Dolphin 5.0 not the latest dev build, and my gpu drivers are only about a month behind. Thanks. Try the latest GPU drivers, and on the Dolphin download page scroll down a ways to the dev builds and try the latest one. It looks a bit like the AMD driver problem, though not as severe as I've seen in some other cases. If updating the driver and Dolphin doesn't help, you might have to downgrade the driver or Dolphin. Is this AMD problem specific to this game because I haven't noticed it anywhere else yet. And if updating doesn't do the trick where would I start the rollback process? (08-12-2017, 11:51 AM)El Goob Wrote: Is this AMD problem specific to this game because I haven't noticed it anywhere else yet. No, it can happen in many games.